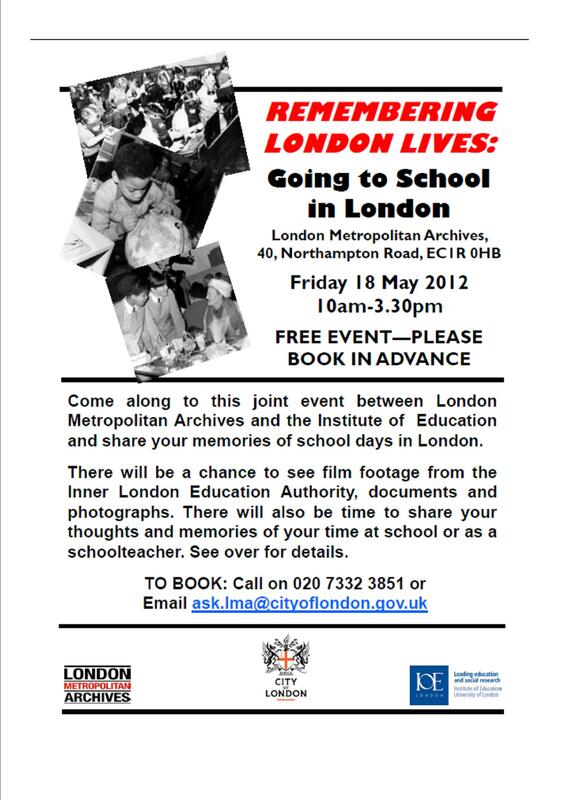 Come along to this joint event between London Metropolitan Archives and the Institute of Education Archives and share your memories of school days in London. 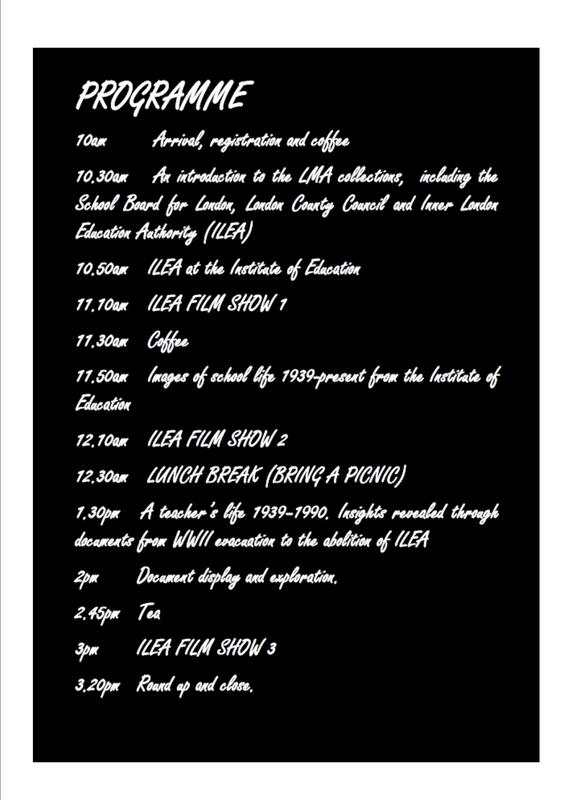 There will be a chance to see film footage from the Inner London Education Authority, documents and photographs. There will also be time to share your thoughts and memories of your time at school or as a schoolteacher. This entry was posted in Library and Archives and tagged archives, events, ILEA, Inner London Education Authority. Bookmark the permalink.